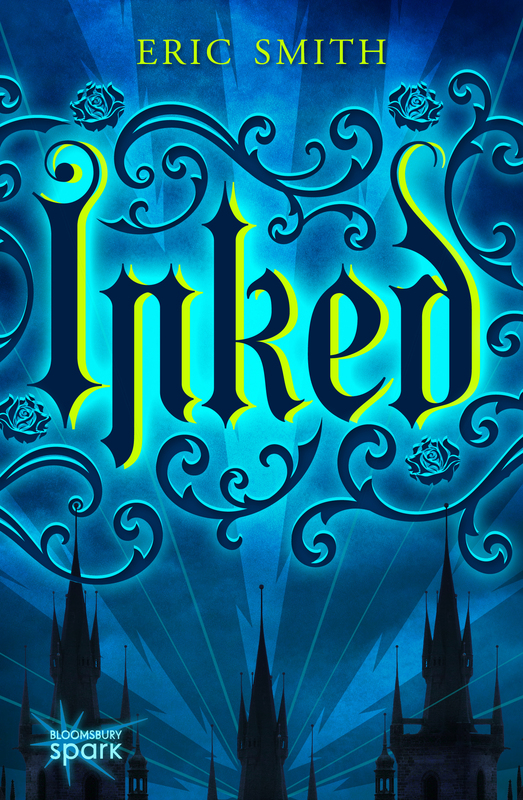 Today we are thrilled to be a stop on the blog tour for Inked, the debut speculative fiction young adult novel from Eric Smith! This is no ordinary blog tour post – because today not only do we get to learn a little bit about Inked, the influences and process that went into the book, but we get to debut the theme song for the novel. That’s right, the theme song. 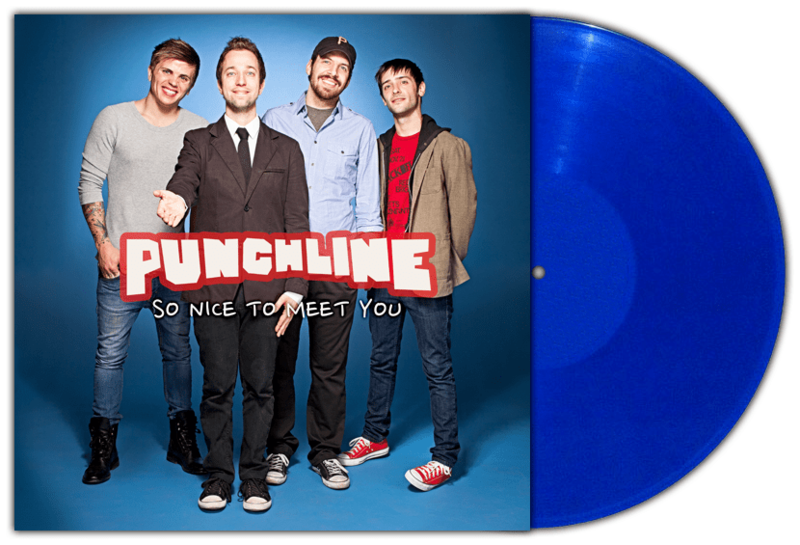 Written by Steve Soboslai, singer of pop-punk band Punchline, the theme song gets its premiere here on The Book Smugglers! Please give it up for author Eric Smith, folks! A little over five years ago, when I finished graduate school, I self-published a novel. I’d been trying to sell it for a while, and it just wasn’t happening. Luckily for me, I’m incredibly fortunate to have an awesome group of supportive friends, who went out of their way to push the little book when I went ahead and did it myself. Not only did they talk about it, but they wrote music. That’s right. A handful of my pals wrote songs inspired by the story. Three songwriter buddies (you can check them out on Bandcamp: John, Jay, and Peter) broke out their acoustic guitars, and penned three awesome songs, which moved me quite a bit. Fast forward five years later, and my first YA novel, INKED, is being published with Bloomsbury’s digital imprint, Bloomsbury Spark, today. I wanted to recreate that bit of musical magic, so I reached out to my friend Steve Soboslai, the singer of one of my favorite pop-punk bands of all time, Punchline. Over the years I’ve seen them on tour with Fall Out Boy, Paramore, MXPX, Hawthorne Heights, and endless other groups, and I listened to them a lot while working on Inked. He’s got an awesome solo project called Blue of Colors, which is a little bit Death Cab for Cutie-ish, that you all should be listening to. He spent last year touring with Matt Pryor (of The Get Up Kids) and Mark Rose (of Spitalfield). He’s awesome. Anyhow, I asked him if he’d be interested in writing a theme song to Inked, something that matched the tone of the novel and could be given away to readers. A few emails and phone calls later, and here we are. I think he nailed it, and I really hope you’ll enjoy the song. You can stream and download it for free via his Bandcamp page HERE, as well as via this YouTube video HEREwe’ve shared with The Book Smugglers. Big thanks to Thea and Ana for premiering the song! Share away, and enter the giveaway below for a chance to win an eBook copy of INKED (on your choice of eReader) as well as a signed Punchline vinyl from Steve. And of course, check out INKED! Its available now via Bloomsbury Spark! Eric Smith is an author, blogger, gamer, and publishing geek living and writing in Philadelphia. His latest book, The Geek’s Guide to Dating, was published by Quirk Books in December 2013, and was an Amazon 2013 Best Book of the Year selection in Humor. He still can’t believe that happened. 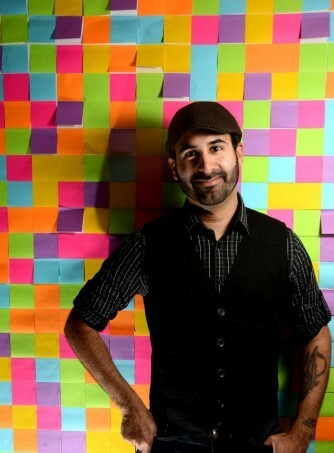 His first Young Adult novel, Inked, will debut with Bloomsbury Spark in January of 2015.
facebook, and over on his website, www.ericsmithrocks.com. Want more Inked? Make sure to check out all the other stops on the blog tour below! We’re giving away an ebook copy of Inked (on your choice of eReader) as well as a signed Punchline vinyl from Steve! The giveaway is open to all and runs through Saturday, January 24 at 11:59pm EST. To enter, use the form below. And good luck! I always find it interesting when writers give us a peek into the music they listened to while creating, but music and reading are so separate for me that I don’t associate the two. It’s hard for me to mix books and music because I sometimes get distracted by one or the other and then go on an hours-long bender searching more bands or more authors, but I will say I once read Mockingjay while listening to Monster by Paramore. It was pretty perfect. I don’t often times read and listen to music at the same time because I like to fully delve into one or the other and not get distracted. I do however sometimes have songs that get into my head while reading such as upbeat exciting songs for exciting parts and sad songs for sad parts. I don’t usually pair music and reading so I’m not sure if I have a favorite pairing. I also don’t read and listen to music at the same time. I tend to get so absorbed into a book, that I turn off music and TV cuz it’s just a waste to have them running 🙂 thanks for the great spotlight! I don’t mix music & books, so no pairing comes to mind. I have this book for review. The song does not match the feel that the description of the book gives. This song makes the book sound hokey. Now I wonder if I will like the book.